Spaghetti House - don't be put off by the name! I have spotted Spaghetti House restaurants while in London but never been inspired to step through the door. This is mainly because I made some erroneous assumptions about what I thought was a faceless chain. That was mistake number one. Actually Spaghetti House has been owned by the same family since 1955. It is a chain in that there are ten restaurants but they are certainly not bland or unimaginative in their cuisine or service. This week a group of die-hard foodies assembled at the Spaghetti House restaurant at Westfield in Shepherds Bush. Most of us admitted we had never eaten at a Spaghetti House because of the same assumptions about the food and environment. I was pleasantly surprised actually that despite being in the midst of the mammoth shopping centre, once inside, the restaurant had a lovely personal vibe and genuine Italian accents abounded. I asked about this - were these people really Italian? I have been caught out before. Before we married my husband took me to an independent (and very pricey) Italian restaurant where the waiter wielded a ginormous pepper pot and a heavy accent. Until I heard him talking on the phone arranging a taxi in proper North London tones. But I can vouch for the authenticity of the Italian staff at Spaghetti House. They actually speak Italian and have the passion for ingredients that runs deep in the nation. That brings me nicely to my next misconception. I thought the food would be English/Italian with no thought to sourcing. I was wrong again. Although not all the ingredients are Italian, they are chosen to be best for each dish. So for instance crab meat in a recent dish from the summer menu was sourced in Britain. Meanwhile the Parma ham is not only Italian but during my visit was sliced on an ancient and glorious machine which created piles of tangy meat of the perfect texture and consistency. I may have eaten quite a pile of that! There were lots of choices, none of which included spaghetti which put to bed my other misconception. Yes, there were pasta dishes but so much more imaginative than spag bol. 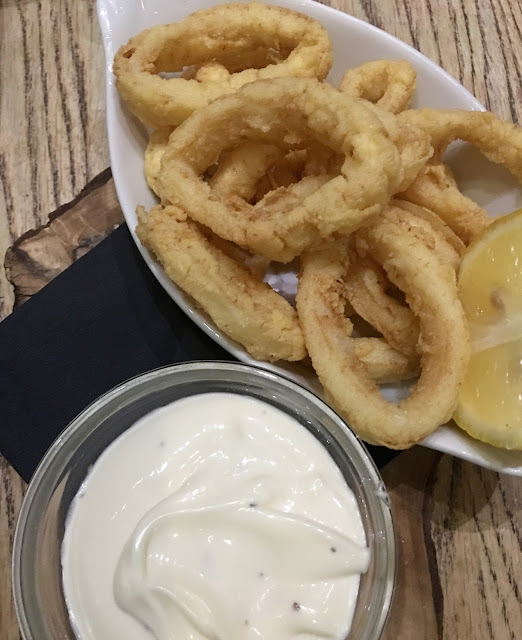 I chose classic Calamari Fritii (fried) to start which was well cooked- not rubbery or soggy. It came with a zingy lemony mayonnaise which claimed to be garlic. I didn't feel it was flavoured enough but to be fair I eat garlic in qualities which would fell the entire cast of Twilight. I wished I had gone for the Avocado Bruschetta which was elegant and apparently very tasty. Moving on and while munching through piles of steaming, gently spiced Linguine Gamberoni e Zucchini (King prawns with zucchini, white wine, garlic, chilli and lemon with linguine) I coveted my dinner companion's Medaglioni alla Pizzaiola - pan seared beef fillet served in a tomato, oregano, caper and olive sauce. Don't get me wrong, the pasta dish was nice but the beef was something a bit more special. Quantities are generous but I still managed to squeeze in a nice dish of profiteroles with chocolate sauce and strawberries which unlike many restaurant versions of this dessert managed to avoid tasting too sickly or artificial. Throughout my glass was kept topped up with a lovely Prosecco. I probably drank £29 worth of that aided and abetted by our waiter who kept refilling my glass whilst promising me he was my guardian angel. He must have been because astoundingly I don't have a hangover today! I had a peek at their upcoming Christmas season menu and that really is worth investigating. With prices ranging from £16.95 for two courses to £29.95 for three courses and 1/2 litre carafe wine I think it's a competitive price with a good blend of traditional and imaginative dishes on offer. So traditionalists can go for prawn cocktail and Roast Norfolk Turkey (with pancetta and Italian sausage, parmesan mashed potatoes, sautéed brussels and carrots) followed by Christmas pud with brandy sauce. Those wanting something a bit different can choose baked aubergines stuffed with basil and ricotta or cream of chickpea and chestnut soup followed by sea bass with grain mustard mash and spinach or beef tenderloin medallions with aubergine puree, red wine sauce and smoked sautéed potatoes. I kinda want to go just to try those potatoes! Christmas menu dessert options include the Italian classic Tiramisu (homemade) and Bruschetta Di Panettone featuring a winter fruit compote. Yum. There are 10 Spaghetti House Restaurants around London including Argyll Street, Kensington High Street and Goodge Street. 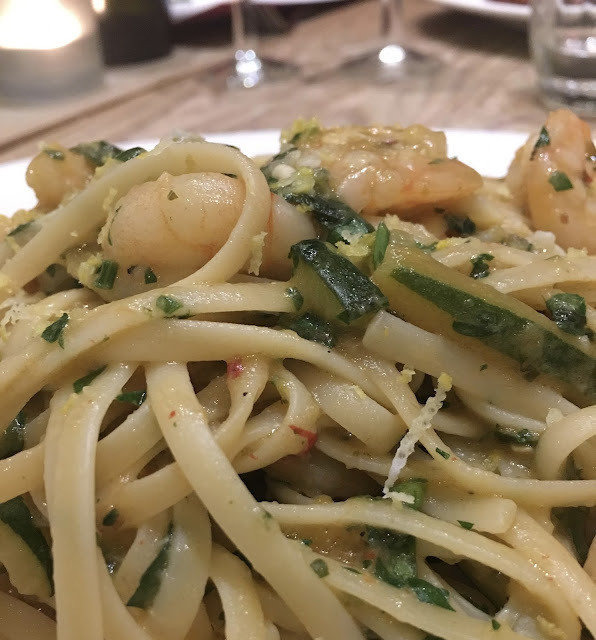 Check out the comprehensive Spaghetti House website to find restaurants, book, learn about private and party dining, browse menus or to buy gift vouchers. Disclaimer: I enjoyed the free flowing Prosecco Menu free for the purpose of this review. Views and opinions remain honest and my own. Increased the 2010 hublot replica sale brand awareness, strengthen brand position as a competitor in the market, the new direct, such as Oris watches and fake tag heuer watches, in order to extend the tag heuer replica, with some of the biggest names in sports, Tag heuer iodine is the harvest year. The strength of growth in the past 10 years, its cartier replica sale new location also adds a lot of new ranges to ensure sports watch manufacturer is not a transitional period only rolex replica sale this year. Courturier large range, aimed directly at a whole new series of watches rolex replica sale is a watch this year's market. I have a huge selection of sports configuration and dial type, start looking for a new Tag heuer male form Courturier Konotabi, in a good tag heuer replica uk in this range. Tag heuer has become stronger than among men watch series, but it is a gradual cartier replica brand really, they increase the Valjoux movement, increasing the number of the automatic watch movement Tag heuer Courturier range, I see this it Longines has been found in a traditional fake tag heuer.